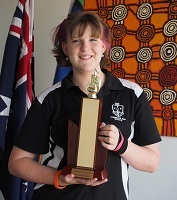 The Top Note Award is presented to a student showing an outstanding commitment to band. 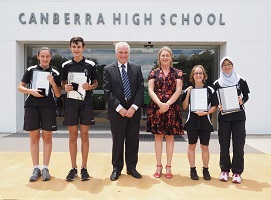 The Supersmiles Academic Award is presented to one male and one female student from Year 7 and one female and one male from Year 8 who have demonstrated excellent academic potential. These awards are donated by Michael and Alana Hyde of Supersmiles Orthodontics. The Supersmiles Leadership Awards are presented to one male and one female from Year 7 and one female and one male from Year 8 who are willing to take on challenges and lead a team. These awards are donated by Michael and Alana Hyde of Supersmiles Orthodontics. The Year 9 CHS Board Sports Award is awarded to two students who display excellent application and commitment to the CHS sporting program. 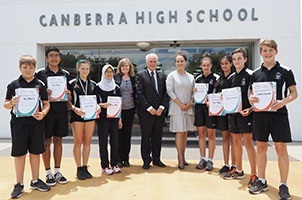 This combines not only participation in sporting teams, but also displaying a positive, encouraging school wide attitude towards all events and students.